As a bonafide cat lady, I jumped at the chance of seeing the Broadway classic, Cats, without paying New York prices. Based on T.S. Eliot’s Old Possum’s Book of Practical Cats, a childhood favorite of playwright Andrew Lloyd Webber, Cats tells the tale of a community of cats — Jellicle cats — gathering one night in a junkyard for its annual ball. Most of the musical is a presentation of the frisky felines — yes, even fat cats and cat burglars — all putting their best paws forward to convince sage, God-like patriarch, Deuteronomy (Brandon Michael Nase) that they are most deserving to be reborn in the Heaviside Layer, a not-so-subtle metaphor for heaven. Staying true to the source material, the musical is poems set to music. 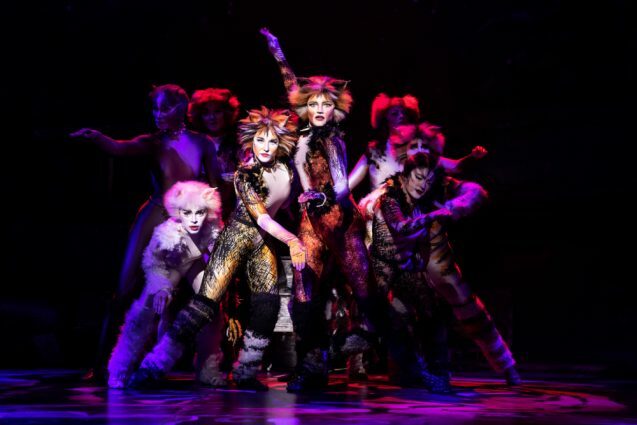 And like Broadway Sacramento on Tour’s last production Falsettos, Cats is entirely sung. The company occasionally breaks the fourth wall to let the human audience know the secret names (“The Naming of Cats”) and habits of cats (“The Ad-dressing of Cats”). Despite its grand styling, the production feels intimate with dancers and stringed lights making use of the Community Center Theater walkways. 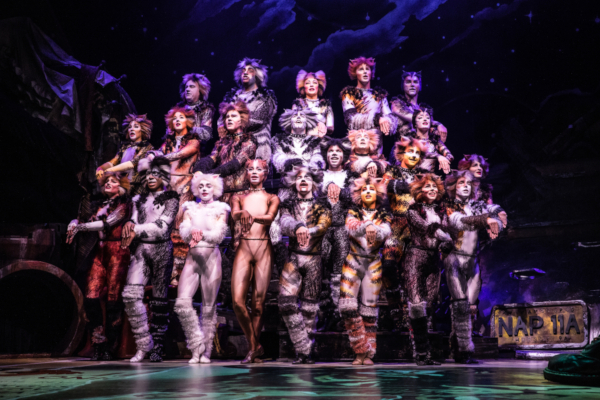 All in all, Cats is a visual feast and one production that is not be missed. Find tickets and showtimes to the Broadway phenomenon on Sacramento365.